The keystone rock is an arch’s linchpin providing structural strength and integrity—remove it, and the structure topples and falls. Ecosystems function in much the same way. Keystone species are animals that disproportionately influence their environment, and often those that best support ecosystem health and biodiversity. An ecosystem engineer is one type of keystone species—they are animals that create or modify habitat for other animals, generally increasing biodiversity in local areas and the amount of types of habitat available for wildlife. Think of American beavers. Beavers dam streams, which changes water speed, water depth, and subsequently, water temperature. Deep, still beaver ponds that sit and soak up sunlight support different fish, plant, and bird life than the fast-running portions of the same stream. Without beavers, the stream as a whole would support less kinds of flora and fauna, which we collectively call biodiversity. In research recently published in the prestigious journal, Oecologia, we show that mountain lions are ecosystem engineers that create essential habitat for carrion-dependent beetles. It is the first research to show that an apex predator plays the role of engineer. 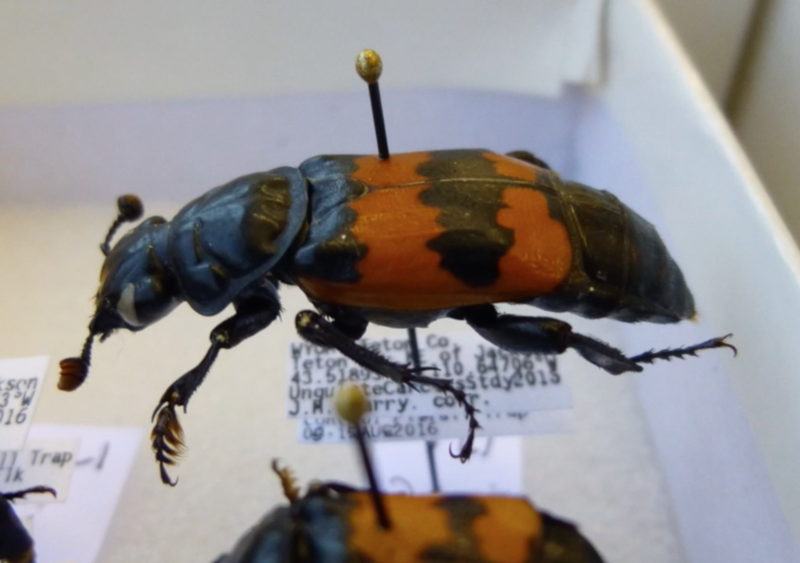 In collaboration with graduate researcher, Josh Barry, and Dr. Melissa Grigione at Pace University, we collected and identified 24, 209 beetles across 18 sites, representing 215 unique beetle species. The carcasses abandoned by mountain lions were not just food for beetles, but the very places beetles spent their lives, hiding from predators, seeking mates, raising young, and morphing from larvae into adult forms that dispersed in search of the next carcass to begin the cycle all over again. Ecosystem engineers and other keystone species are those animals that are the critical puzzle pieces that connect to the most other pieces, they are the species that disproportionately hold ecosystems together, and they are the species that require conservation attention to ensure their populations are healthy. Mountain lions are one such species. Mountain lions create more large carcasses than other predators (for example, wolves tend to dismantle prey into many small chunks), which recent research has shown is more important to ecosystem health. They feed more mammals and birds than any other predator, increasing the number of animal interactions (e.g. links in food webs) so essential to maintaining ecosystem resilience. And they are ecosystem engineers on top of this as well. 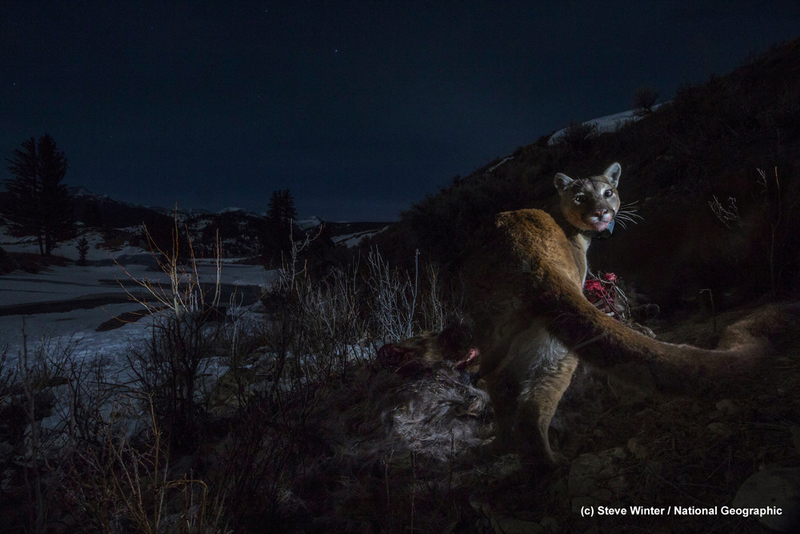 We are only just beginning to unravel the positive roles that mountain lions play in supporting healthy natural systems, and they are already startling. Evidence suggests that maintaining healthy mountain lion populations across the Americas is an important step to maintaining healthy ecosystems that sustain complex biodiversity, including human beings. Put another way, when we aid mountain lions we ultimately help ourselves. Follow Panthera’s Puma Program on Facebook to learn more about mountain lions and our conservation research. Panthera’s Puma Program has been silent for awhile, but we’ve not been idle. We’ve been changing and growing, and we’re launching new projects in both North and South America. Here, we introduce the Olympic Cougar Project. 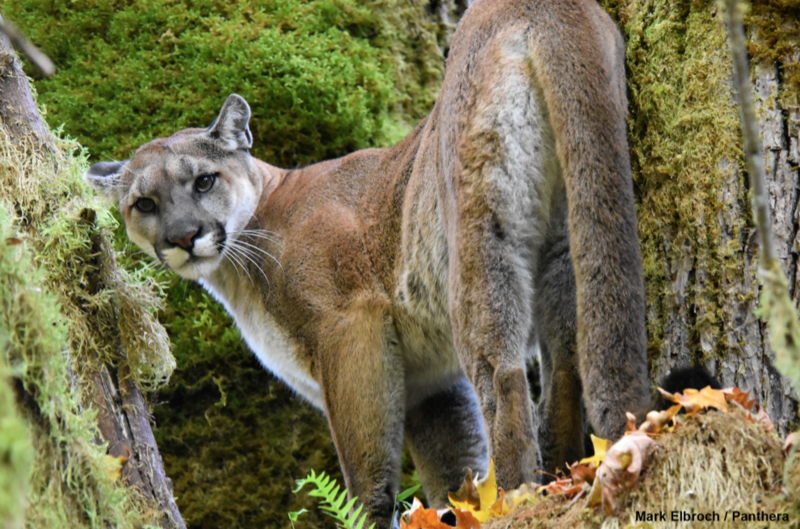 It is a large-scale, multi-national collaborative effort, in which we’re assessing mountain lion (or cougars as they are locally called in the Pacific northwest) connectivity in western Washington State. Previous research on the genetic diversity of mountain lions in Washington State highlighted that cats on the Olympic Peninsula west and south of Seattle may already be in trouble. They are genetically less diverse than those on the mainland, likely because the Peninsula’s mountain lions are isolated from mainland populations. Without doubt, the situation is getting worse. The Olympic Peninsula is fast becoming an island. 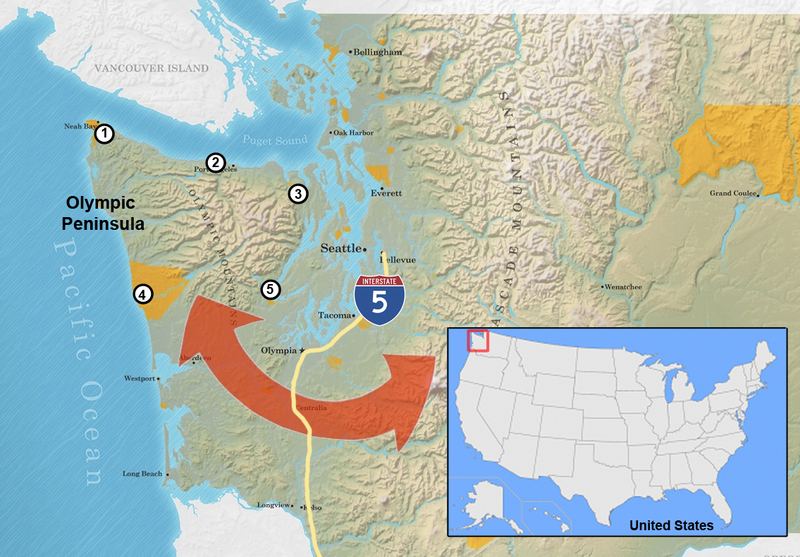 The Interstate-5 (I-5) highway corridor south of Seattle is one of the fastest developing regions on the west coast, and is increasingly severing wildlife connectivity in western Washington. South of the peninsula lies the massive Columbia River, forming a considerable barrier for mountain lions traveling that direction. Discharging more water than any other river in the northwest, a mountain lion would need to swim about 6 miles to cross the mouth of the river. Mountain lions that wind their way eastward, closer to I-5, can shrink that crossing to a feasible swim as short as 2/3 of a mile. There are stories of mountain lions swimming across water bodies up to a mile wide, but much of the river south of the Olympic Peninsula is 2-6 miles wide. West of the peninsula lies the Pacific Ocean, and to the north the Strait of Juan de Fuca which, at its narrowest point, offers a 15-mile swim to Vancouver Island across shipping lanes full of massive ships and hungry orcas. The bustling Puget Sound sits to the east. Navy shipyards, ferry traffic between Seattle and offshore islands, and poisonous trace metals from old industry seeping into the estuary make this area treacherous for any wildlife, pumas included. Looking at all the options, the south and the east are still the best possibilities for pumas to immigrate and emigrate from the Peninsula. However, this means traveling through increasingly developed areas along the I-5 corridor from Tacoma, WA southward to the Oregon border. Certainly to the south, closer to Oregon, that path is much less developed and much easier, but with time the highway will widen and infrastructure and communities will grow to create a wider developed corridor, and a noose for wildlife like mountain lions, that require large connected landscapes to maintain their health over time. 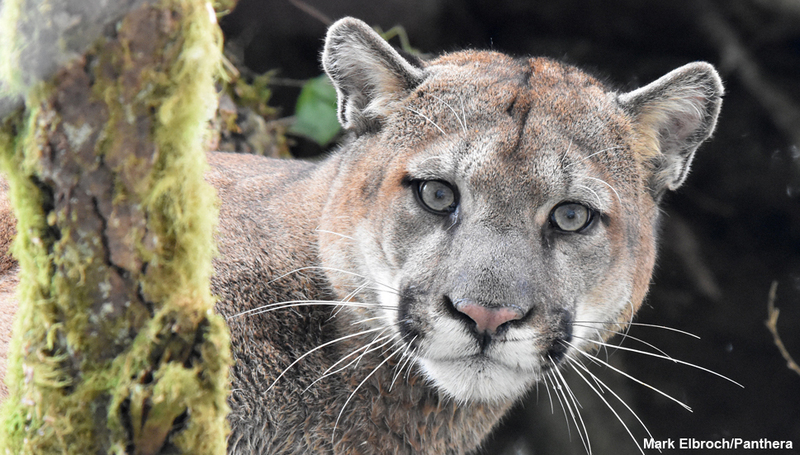 Ultimately, our goal is to map mountain lion connectivity, identify bottlenecks and blockages in wildlife corridors, and work with state developers to ensure I-5 is modified to aid wildlife on the Olympic Peninsula for generations to come. Within this umbrella, we’re also studying mountain lion dispersal, assessing competition between mountain lions and bobcats, and working with an incredible array of talented scientists to analyze movement and genetic data collected from mountain lions throughout western Washington. Our core team is composed of people working for the Lower Elwha Klallam Tribe (LEKT), and Panthera scientists. 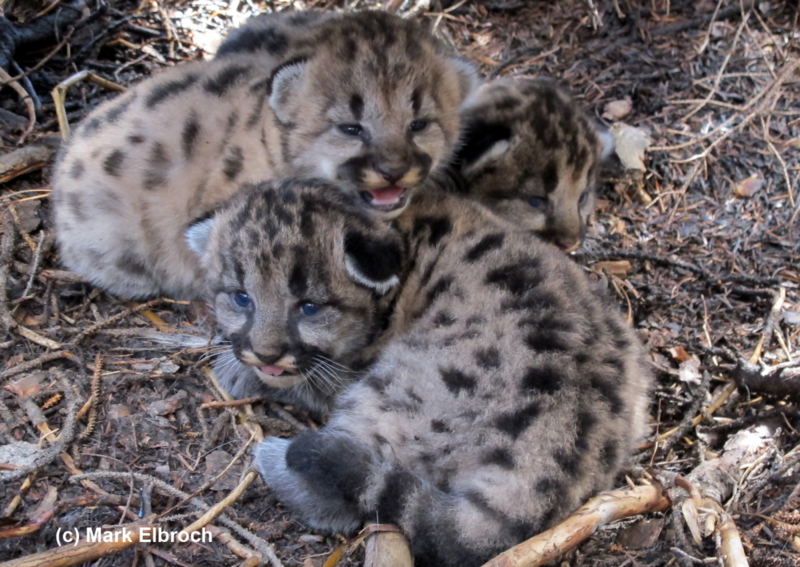 LEKT received funds from the Administration for Native Americans to study mountain lions and predation as part of building their Seventh Generation Wildlife Management Plan, to guide the Tribe in the sustainable use of natural resources. Kim Sager-Fradkin, Wildlife Program Manager, leads the LEKT team, and I lead the Panthera team. Cameron Macias is the first LEKT tribal member to attend graduate school to study natural resource management, and is analyzing mountain lion and bobcat genetic samples collected in our study, with support from a Panthera Kaplan Graduate Grant. Together, LEKT and Panthera are forging alliances with additional tribal partners and the Washington Department of Fish and Wildlife Department to share existing data sets and strategically gather additional data to fill knowledge gaps on the Peninsula’s wild cats. An intimate video of M16 as he investigates his first encounter with one of our motion-triggered video cameras. 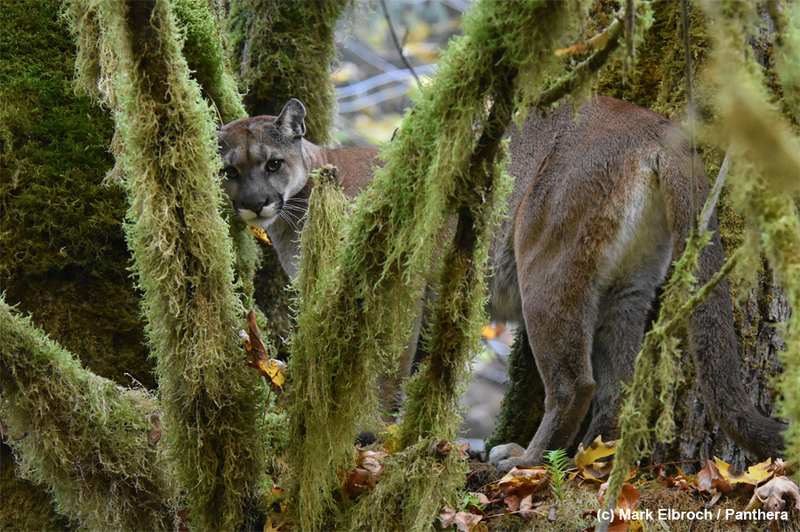 With the Olympic Cougar Project, we’re attempting something bold, something big, and something swift to protect key routes that will maintain and increase connectivity among pumas in western Washington. In the face of industrial development, urban sprawl and natural hazards, it’s a colossal undertaking, but the results will be rewarding beyond belief. If we succeed, and we will, our work may save untold thousands of cats and other animals long into the future. Join us to support the effort. 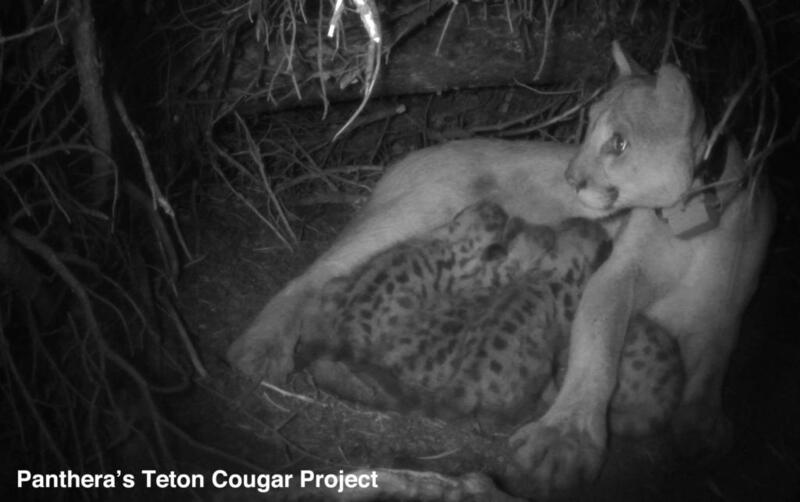 And stay tuned, there is so much more to come from the Olympic Cougar Project. 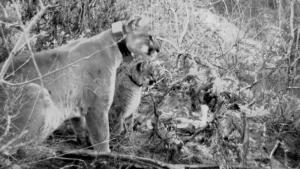 The eastern cougar is not extinct, it never existed–here is a mountain lion from the west, which genetics confirm is as much an eastern cougar as those cats that historically roamed New England. I’ve received a lot of worried messages and comments on social media about the recent U.S. Fish and Wildlife declaration that the “eastern cougar” (or mountain lion, Puma concolor couguar) is extinct, and was therefore being removed from federal endangered species protections. I think the wording of the federal ruling unintentionally—but unfortunately—influenced how the media covered the change in conservation status. Here is the complete federal ruling, but here I provide what I believe are the five key take-home messages for those of us invested in mountain lion conservation. This is just one man’s opinion, of course. This is one point I believe should have been included in the summary at the start of the federal ruling. Yes, the fact that there is not a breeding population of “eastern cougars” in the northeast of the United States or eastern-most Canada is reason for the declaration. But, much more importantly, the newest science has revealed that there never was an “eastern cougar” subspecies to begin with. Phylogeny is the science that proposes how animals are related by their evolutionary history. Think of phylogentic trees, something most people can remember from school, and the “tree of life” showing how animals evolved and are related to each other. Today, phylogenetics is the more appropriate term, because our study of phylogeny is almost entirely dependent upon genetic tools. In the old days, phylogeny was proposed based upon morphology (the shape, color, and external characteristics of an animal and its skeleton). Based upon subtle differences in coat color and skeletal measurements, historic scientists believed there were many subspecies of mountain lions in North America, including the eastern cougar. Genetic tools, however, have provided a very different picture. The International Union for Conservation of Nature (IUCN) currently recognizes six subspecies of mountain lions, of which only one—Puma concolor cougar—inhabits North America. This means that current genetic research supports the belief that all the mountain lions in North America are of a single subspecies. In other words, the eastern cougar was never a separate subspecies, and mountain lions that historically inhabited the northeast of North America were the same subspecies as the mountain lions in Idaho—which are still very much alive. Thus, the eastern cougar is not extinct—it never existed. It is more correct to say that the North American subspecies of mountain lions is locally extinct in the northeast, because there is not a breeding population in this region. Recent and future mountain lions in the northeast are not eastern mountain lions. Any recent news of mountain lion sightings in the northeast, and any future confirmations of mountain lions in the northeast, do not justify the existence of the “eastern cougar” as a separate subspecies. These are migrants from the west, not local mountain lions that survived undetected for the last 70 years. Even if there was evidence that some of these new migrants were breeding, that is still not evidence of eastern mountain lions. 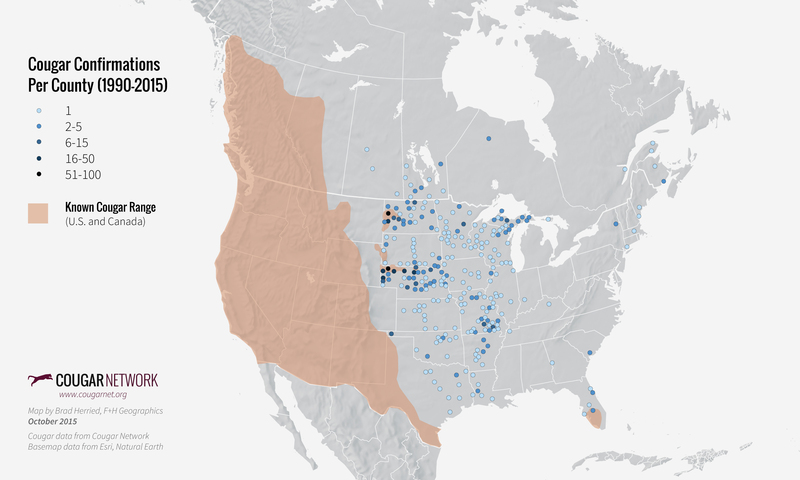 These are the North American subspecies of mountain lions returning to where they were extirpated some 70 years ago when wide-scale predator control was commonplace. Some people still argue that mountain lions have existed in hidden pockets in New England for all of these years. Importantly, this does not matter because the subspecies distinction of “eastern cougar” was incorrect. But, further, most people agree this is unlikely. 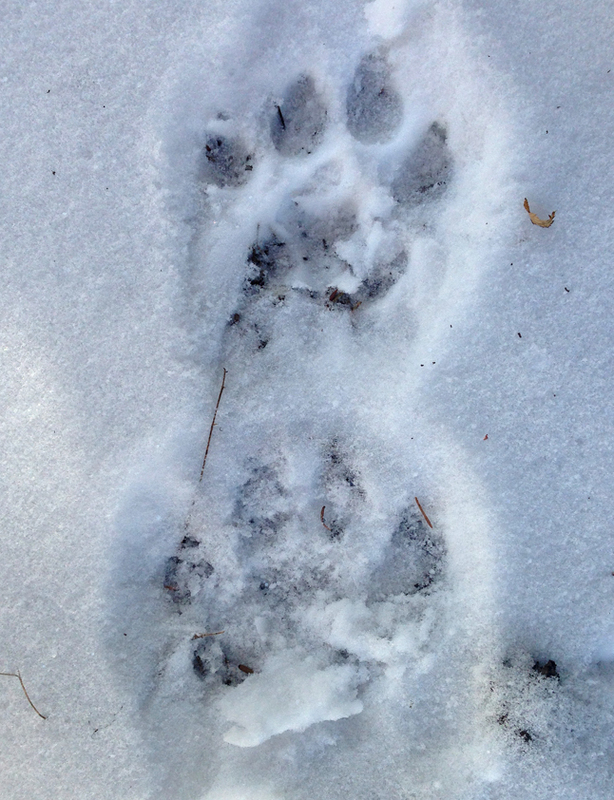 New England has numerous people skilled in interpreting animal tracks and sign, and mountain lions leave considerable sign where they move and kill prey. Consider the amazing adventure of the dispersing male mountain lion that was killed on a Connecticut highway in 2011—and subsequently became national news and was written up in the book Heart of a Lion. Documenting this lone male was akin to looking for a needle in a haystack when you consider the massive geographic range he traversed, in which he unlikely ever encountered another mountain lion east of the Mississippi (if not east of Kansas). Yet, even he was documented numerous times on motion-triggered cameras and by experienced woodsmen and women while he traveled. Paul Rezendes and I were two of the many that confirmed photos of footprints he left in the Quabbin Resevoir in central Massachusetts before he was killed. My point is that even a single cat without a territory leaves sign, and a resident breeding population leaves much more. Mountain lions that disperse eastward from the west were never protected under the Endangered Species Act. Thus, current and future eastern migrants are unaffected by the new federal ruling—and still protected following the laws of the states in which they move while they are dispersing to seek new territories to call their own. Introducing mountain lions in the east just got easier (probably). Re-introducing animals into previous range (as was done with wolves into Yellowstone National Park and central Idaho in 1995 and 1996) is an arduous process. Re-introducing federally protected animals, which are monitored closely and have stringent rules about how they are handled and moved, is even more difficult. If you live in an eastern state that is deliberating reintroduction, or if you would like then to consider it as an option, get involved, reach out and contribute your thoughts. State Wildlife Agencies act on behalf of their public—so let them know how you feel. Certainly, there are numerous areas that could sustain mountain lions in the northeast. The Florida panther is unaffected (at least for now). The Florida panther, Puma concolor coryi, is listed separately from the eastern mountain lion, and its status under the Endangered Species Act is unaffected by the recent federal ruling. The 80-100 wild Florida panthers remain protected wherever they are found, even if they disperse out of Florida into neighboring states. The caveat, however, is that current phylogentics could be used to argue that the Florida panther subspecies, just like the eastern cougar, is not justified either, and that their protective status should be ended as well. This would be devastating for Florida panther conservation, which is currently led by the U.S. Fish and Wildlife Service. This is something conservation scientists, advocates, and managers need to monitor closely as the status of Florida panther is reviewed by the U.S. Fish and Wildlife Service. Young male mountain lion with a mule deer fawn killed by his mother. Among my favorite activities is investigating mountain lion kill sites—meaning the work of actually going into the field and finding the remains of prey killed by mountain lions. 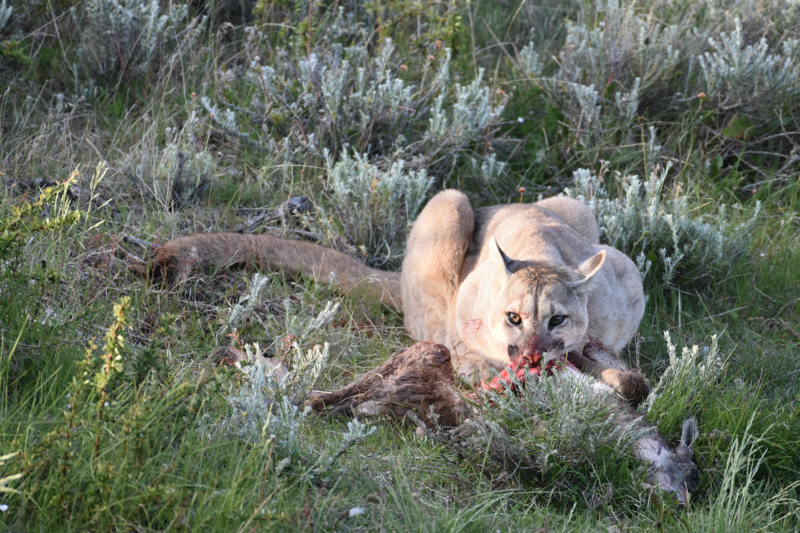 We just published new research in the Journal of Mammalogy that shows that these expeditions in search of prey remains are not just enjoyable, they are also the best way to study carnivore foraging behaviors. Every kill site is different, and some are tough to find. But over the years, I’ve begun to better predict where a cat might feel secure enough to feed and hide the remains of their prey. Flies are a great clue too—the sound and sight of them have often drawn me to a hidden carcass or a subtle area blood-flecked and sprinkled with tiny bits of tissue and bone easily overlooked. Magpies and eagles are even better, their vocalizations provide guidance from afar and if you can spot them on the ground, then you’ve found your kill. 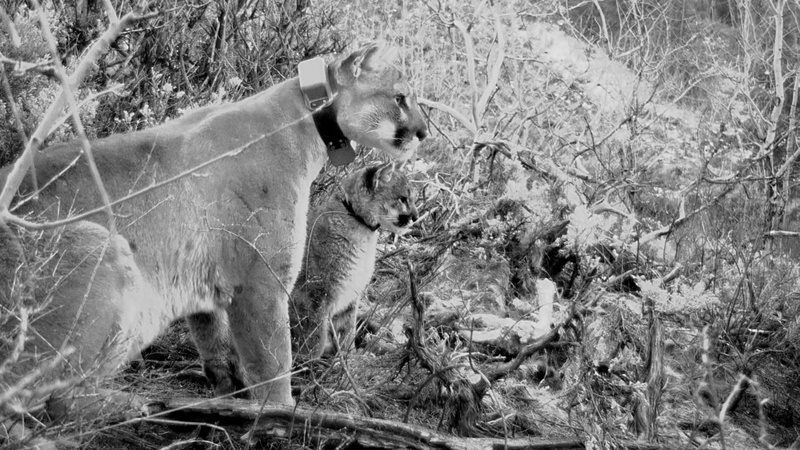 Modern research on mountain lions relies heavily upon GPS technology built into collars. Location data are transferred via satellites to our computers while the collar is still on the cat, thus we can follow them in near real time. It’s absolutely amazing. When we see a group of location points on a map, we know a mountain lion has remained in place for some duration—what that animal was doing can only be determined with certainty by visiting the site to see what happened (and even then its not certain because we rely upon tracking skills to interpret signs; tracking will always be an imperfect art and science). 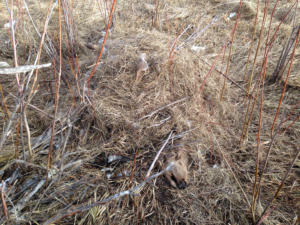 An elk killed and cached by a female mountain lion in northwest Wyoming. Now it might be apparent to those who know me—that studying mountain lion kill sites brings together my dual interests in wildlife tracking and mountain lions. Its as if this work were created with me in mind. For the most part, our research teams (including those with professional tracking skills: Casey McFarland, Neal Wight, Matt Nelson, Max Allen, Michelle Peziol, Connor O’Malley, Anna Kusler, Blake Lowrey, and myself) spend almost all of our time visiting these sites in the field—its time consuming work, but I believe, well worth the effort. Other researchers, however, invest elsewhere, and rely upon statistics and mathematics to measure kill rates (how often a carnivore kills prey) and even prey selection (what carnivores eat). They do this by visiting just a sample of locations in the field and then extrapolating what they observed to every area a mountain lion or other carnivore stopped and spent time, with the help of complex mathematical models. This approach is appealing because it saves lots of time in the field, and therefore money. Thus, the mathematical method has spread rapidly across the globe where it is being applied to more and more carnivore species. 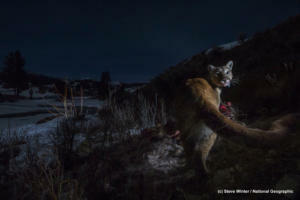 My coauthors, Blake Lowrey and Heiko Wittmer, and I tested this mathematical approach to estimating kill rates against our own heavy-fieldwork approach, in which we try to visit every location a mountain lion stops for 4 or more hours on the landscape (we used to do 2 or more hours but 2-hr sites yielded very little prey data). We did this for 3 different study systems in which we’ve worked (Chilean Patagonia, Northern California, western Colorado), and found that the mathematical approach yielded unpredictably, inaccurate and imprecise estimates of kill rates. This was mostly due to the fact that carnivores are inconsistent in how they feed. They eat prey of different sizes, so the associated time it takes to consume their kills is highly variable. Mountain lions and other carnivores also have their kills stolen by bears and condors, and thus they sometimes feed for very short time periods from a large animal they killed. This confuses computer models, which tend to predict that places where a mountain lion spent little time must have been a place where it rested rather than killed prey. 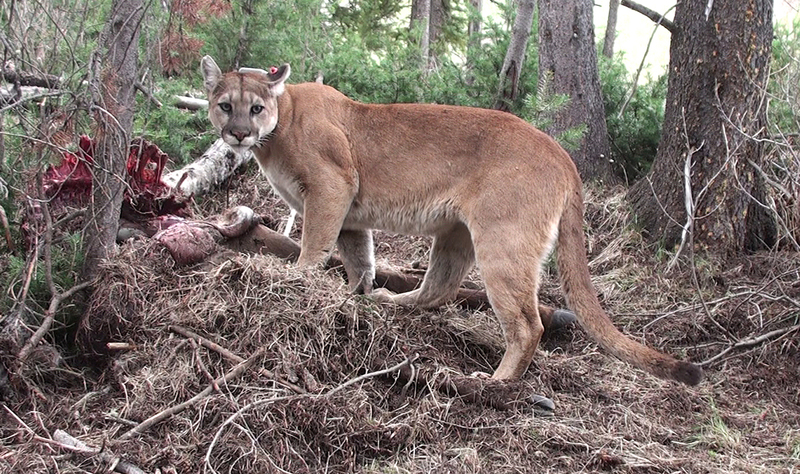 An adult female mountain lion stands over an 11-month old elk calf she killed and cached. Fieldwork is not just enjoyable, its justifiable. 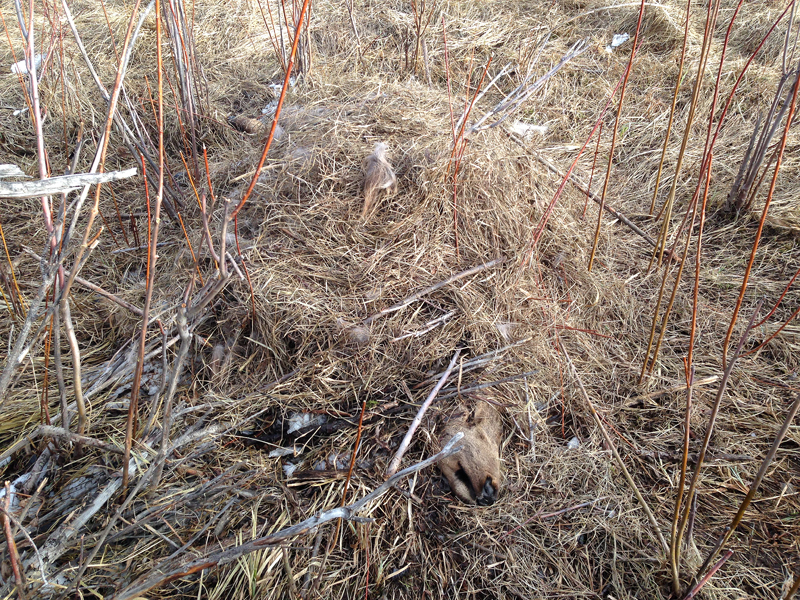 Spending time in the field remains our best approach to studying carnivore diets and kill rates. This is excellent news for those of us that have invested so much time in learning tracking skills, and so delight in forays afield where we apply our trade. Do Mountain Lions Target Bulls and Bucks? 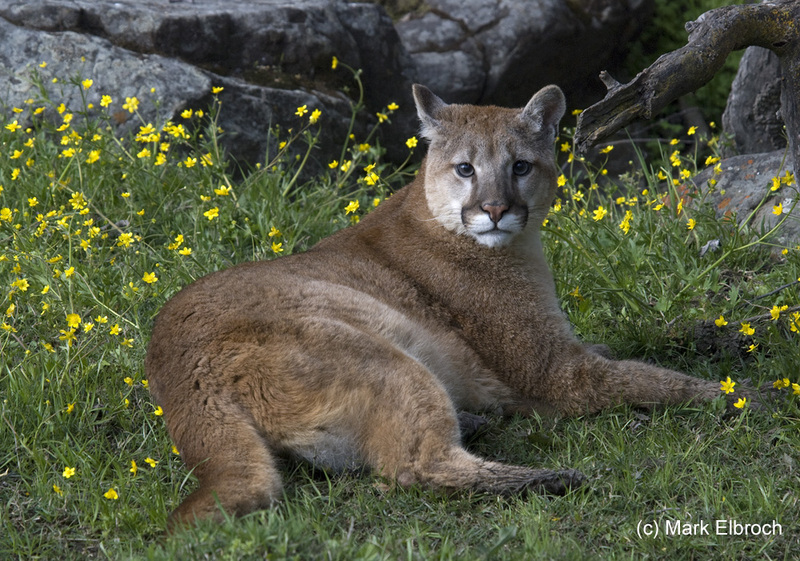 F47, an adult female mountain lion, turns back to look at the camera. Photograph by Steve Winter / National Geographic. 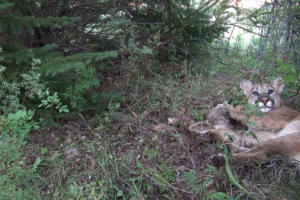 I’m often told that mountain lions target adult male deer and elk, called bucks and bulls by many people. 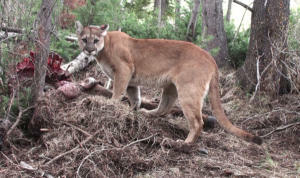 Its become a point of contention among deer and elk hunters, and has fueled persecution of mountain lions. We just published a paper in which we tested this assumption in two areas of the Rocky Mountains. I share a longer blog about our results on National Geographic’s CatWatch. But in short, we found that mountain lions went out of their way to target the youngest age classes of deer and elk, not the adult males. The full article published in Wildlife Research can be found here. If you’d like a copy, please send a message through our project Facebook page. Thank you for your interest.